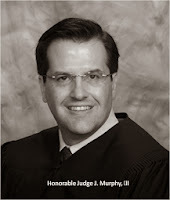 On Monday, Federal District Judge Stephen J. Murphy, III, granted injunctive relief to five additional non-profit organizations in the Thomas More Law Center’s newest challenge to the HHS Mandate filed in the Federal District Court for the Eastern District of Michigan. This newest challenge on behalf of the five non-profit entities was brought by Faith on Trial guest Erin Mersino, trial counsel with the Thomas More Law Center (TMLC), a national public interest law firm based in Ann Arbor, Michigan. In granting the injunction, Judge Murphy noted that the plaintiffs showed “a strong likelihood of succeeding on the merits” of their case. The court rejected the government’s argument that the accommodation to the Mandate, which required the plaintiffs to either pay for contraceptives and abortion-causing drugs directly or sign a “self-certification” which would act as a permission slip to their insurance company to pay for contraceptives and abortion-causing drugs, was sufficient to alleviate the plaintiffs’ constitutional objections. The government belittled the plaintiffs’ religious beliefs by nakedly claiming that the Mandate did not violate them—despite the plaintiffs’ sworn statements to the contrary and the government’s own position that never challenged the sincerity of the plaintiffs’ religious beliefs. The injunction protects the five entities from any compliance with the HHS Mandate. The government’s Mandate would have required the Plaintiffs to facilitate access to contraceptive and abortion-causing drugs and devices, as well as sterilization procedures, through their health insurance plan.